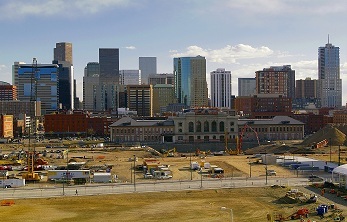 The redevelopment of Denver Union Station (DUS) is a unique project that will bring together many different transportation modes as well as new private development, to create a bustling urban center and multimodal transportation hub in downtown Denver. Scheduled to be completed in 2014, DUS will be the heartbeat of activity in the city and the centerpiece of a new age of connectivity in the region. Roger Sherman’s presentation to City Club on the DUS project will include information on the storied history of this iconic building from the late 1800s to the present day and will describe the new and constantly changing Union Station Neighborhood along with the transformation it’s bringing to downtown. In addition, a dramatic series of images on the project’s construction progress will be featured. Here is your chance to experience the evolution of the largest transportation redevelopment project in North America. Roger Sherman joined CRL Associates in 2005, bringing more than 17 years of public and private sector experience in project management, financial administration, policy development and implementation and strategic communications. Roger represents clients in the transportation, real estate and development and public policy sectors, including the Regional Transportation District (RTD), the Florida Department of Transportation (FDOT), the Atlanta Regional Commission and the Denver Union Station Project Authority (DUSPA). 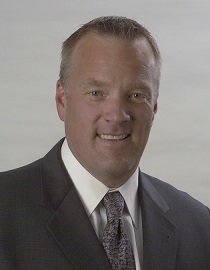 Roger has served in various leadership roles with candidate and issue campaigns throughout the Denver metro area. He served as the chief financial officer for the successful 2004 FasTracks Yes campaign, the largest mass transit expansion effort in the country at the time. Roger has advised communities across the country in developing successful public outreach programs in preparation for major transportation initiatives. He is a former member of the Regional Transportation District’s board of directors.